This is the first in a series of blog posts interacting with a recent e-book by some stand-out experts at the One for Israel Project affiliated with Israel College of the Bible. The e-book is titled The Torah’s Goal? Here is how they state their goal. Our thesis about the purpose of the Torah (Gen through Deut) is that it is an historical narrative, whose purpose is to lead Israel through the broken Law and beyond, namely, to the Messiah, Moses assures his readers, will come in the last days. To be faithful followers of the Torah, in our view, is to believe in Yeshua! . . . Finally, we will look at the passages in the Torah would speak about “the last days,” and argue that these passages reveal the ultimate goal for which Moses wrote the Torah, namely, to bring us through Israel’s breaking of the law to the Messiah in the last days (loc 135-138). As will become clear in this series of blogs, I take issue with their consistent refrain of Messiah instead of mitzvot (the Law seen as a system of commandments). I will demonstrate how the Bible points us to a consummation awaiting the Jewish people which is Messiah AND mitzvot, even, that is, Messiah and the Spirit of God leading Israel not beyond the mitzvot but rather to their successful and full implementation. 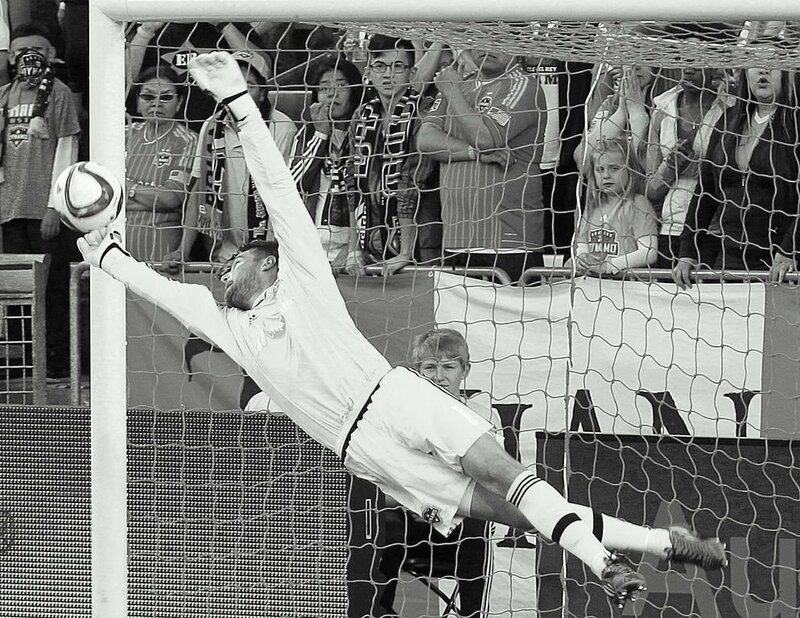 It is for this reason that I am calling this series “The Torah’s Goalkeeper,” because I see the Messiah as the defender of Torah, the one who would seek to prevent people scoring points against Torah obedience, indeed, the ultimate expediter of that obedience, as well as being the perfect exemplar of what that obedience should look like. Early in their book, the authors of The Torah’s Goal? (henceforth TTG) postulate that the Pentateuch, the Torah, demonstrates a compositional strategy. They postulate that the first chapters of Genesis are a prophecy of the shape of things to come, a prophecy of going into a holy land, only to be seduced by the inhabitants of the land into breaking the commandments of God, and driven from that land eastward. They hold that Moses seeks to demonstrate that the path toward God is the path of faith, not obedience to laws and regulations, as demonstrated by the fact that everything goes bad for Israel and for Moses after the giving of the Torah, and that the hope toward which Moses seeks to point Israel through the broken Torah to coming Messiah. And for them, with the coming of Messiah, Torah loses its mandatory force. This is a tight and satisfying construct for those imprinted by a certain kind of evangelical metanarrative of grace and faith instead of Law and works, and the denigration of Torah obedience as a hopeless pursuit but necessary precondition to the exaltation of Messiah. Although not mentioned in the text, the careful reader will note that TTG is based tightly on the writings of a scholar-giant, John Sailhamer, a man worthy of the most profound respect on every level. Dr. Seth Postell, the primary author of TTG, was for seven years a graduate and postgraduate protégé of Sailhamer, whose person, teachings and perspectives he greatly admires. In reading Postell one hears Sailhamer. Dr. Postell and I share with Sailhamer a passion fot the text of the Bible. But we have our differences too! Is the entire Torah to be seen as Moses’ great masterpiece outlining the futility of Torah obedience, as symbolized by the death of Moses and the Sinai generation in the wilderness, short of the Promised Land, as stated by Sailhamer, Postell, and TTG? Is the Pentateuch structured to highlight the success of Abraham and the failure of Moses, so that the former is seen as winner-champion of faith and the latter the loser who could not measure up to the Law he proclaimed, also their claim? This is a chasm of credulity far too wide for me to traverse. I really can’t go there although perhaps you can. Is there another compositional strategy that takes the same pentateuchal data and brings us to a different conclusion? There is. And it was crafted by another scholar-giant, David Noel Freedman, a Jew and a Presbyterian, and one of the greatest Older Testament scholars of the past century, who mapped out this compositional strategy in two books and an article. In this blog post and the next, I will summarize highlights of his popular treatment of his findings, “The Nine Commandments.” Like Sailhamer, Freedman does a close reading of the text, noting parallels in how accounts are structured and in vocabulary used and echoed in the Pentateuch and beyond, yet reaching different conclusions with dramatically different implications. At the end of this blog, I will present a concise summary of a Messiah centered compositional strategy for the entire Bible, as it concerns God’s plans for Israel. Whereas Sailhamer, Postell, and the folks at One for Israel deal with the compositional strategy of the Torah, Freedman casts his net wider, to what he terms the Primary History of Israel, the Torah plus Joshua, Judges, the Books of Samuel (originally one), and Kings (also originally one). While he looks too at the compositional strategy of the Torah, he does so within this wider context. Freedman begins with Adam and Eve, Cain and Abel, the Flood, and the Tower of Babel. In each case one sees the same pattern. God gives commandments, the commandments are broken, and destruction and Exile ensue. Like Sailhamer and the writers of TTG, these Freedman would have us see these Genesis stories as a foreshadowing of the entire history of Israel from the Garden to the Exile. But Freedman’s analysis of the compositional strategy of the Torah and Tanakh, while using the same data, differs as to intent and implications. Like Sailhamer, Freedman believes the text of the Pentateuch was redacted, that it, its language and configuration was edited by others than Moses to enhance its communal impact and literary integrity. Freedman even thinks he knows who did the redaction: Baruch the son of Neriah, the scribe who was a close companion of the Prophet Jeremiah, the weeping prophet, who went off into exile with the people of Israel. (In my next blog I will summarize his reasons for naming Baruch the son of Neriah). Freedman suggests the big question on the hearts and minds of the Jewish people, driven from their land, eastward to Babylon was this: What happened? How is it that we started in the area of Babylon (where the Garden of Eden was and from whence came Abraham), and now we are back. Our story seems to be ending where it began. What happened and why? The answer to their question is foreshadowed in these early Genesis stories. What happened is that we broke God’s commandments. That is why we are in Exile. The pattern is commandment–>violation–>Exile. And we will see that this pattern is imprinted throughout the entire warp and woof of the Tanakh. In the Primary History, the first true biography of a people recorded anywhere in the world we can perceive a structure pattern, simple in conception, more complex in expression, but one that encompasses the entire work from beginning to end and permeates all of its parts. The Decalogue, in both places in the Hebrew Bible. . .constitutes the point of departure and the pivot or fulcrum on which the whole narrative hangs. That narrative is the account of the covenant relationship between [HaShem], the G-d, and Israel, his people, played out in time and space from the heroic and historic beginnings at Sinai/Horeb to the final ending in disaster, destruction, and captivity six hundred years later. . . .[The] overall design, while simple, nevertheless required the careful, purposeful organization of the narrative material into a coherent and cohesive scheme governing the movement of the story from beginning to end. The story is that of repeated violations of the covenant terms and persistent rebellion against the Lord of the covenant until the inevitable final punishment was inflicted on the people of the covenant and the national enterprise was terminated violently by the capture of the city of Jerusalem, the razing of the Temple, and the exile of the leading citizens. [Freeman, David Noel. The Nine Commandments. New York: Doubleday, 2000:179]. The history of Israel in the Old Testament is recorded in a kind of inclusio: what is mentioned at the beginning is what happens at the end: command->violation->exile; and both the beginning and the end position us in Babylon. Israel has made no progress, so to speak, but has ended up where she began. The OT Biblical narrative is largely pyramidical and symmetric;. . . like a domed building in which the apex is near or at the center, and the opening and closing form a ring or pair of interlocking parts that constitute the foundation. For the Hebrew Bible as a whole, the center comes at the end of the Primary History and at the beginning of the Latter Prophets—at which point the Bible tells of the captivity of the people of Judah, the loss of nationhood, and the destruction of the capital city of Jerusalem and the Temple . . . We can say, therefore, that the entire Hebrew Bible revolves around the point in time, that historical moment when the life of the nation came to an end, when tragedy struck in multiple blows at the kingdom, at its ruling dynasty, and at the sacred center of worship and service of their God. God is the central and dominant figure of the whole story and the entire Bible. But Freedman makes a persuasive case that the Bible is also a series of successive parables of human disobedience and depravity that leads to the necessary consequences in punishment, banishment and exile. And we will be looking at each of these parables in our following blog post. Seen in this manner, the sweep of the Older Testament may be seen as the story of the rising and falling of the House of David, for David is the paradigmatic good King, and the reference point for all good kings and the ultimate good King of Israel, the Messiah. If we take Israel’s story as indeed the rising and falling of the House of David, as enfolded within Israel’s story of Exodus and Exile, then what of the Newer Testament? What of Yeshua? As to the reason the number fourteen is used, one need only remember that the Hebrew name דוד (David) has the numerical value of fourteen. It’s all about David and the Son of David! Do not miss what is happening here. Matthew is confirming what Freedman discovered as the compositional strategy of the Tanakh, that the Tanakh is all about the rising and falling of the House of David. And the New Covenant comes to tell us that this is not the end of Israel’s story. No! The genealogy at the beginning of Matthew tells us that the story of the Bible, as it concerns the Jewish people, and through them, the world, is this: The rising, and falling, and in Yeshua the Son of David and our coming King, the rising again of the House of David. And contrary to the instincts of John Sailhamer, the Reformation, and the good people at One for Israel, the story of Israel does not end with the choice between mitzvot OR Messiah. No! It is mitzvah AND Messiah. Ezekiel expresses it so tersely none should miss it. He tells us the end of Israel story. Not exile, but return, and not Messiah instead of mitzvah but both of them together. Does Moses’ compositional strategy and the text of the Bible as a whole require that we believe that Jewish Torah obedience was yesterday’s news instead of tomorrow’s headlines? We should follow the advice of the authors of TTG when they suggest we read the Bible from the Old Testament to the New. And doing that the message is clear, and a different mesage than they find in the Bible. A communal life of adherence to God’s mitzvot was Israel’s legacy and is Israel’s destiny. And here at Interfaithfulness, we beleive that means it is now our responsibility. But the people at One for Israel disagree. That makes for interesting interaction! In my next blog in this series interacting with the e-book The Torah’s Goal ? I will flesh out the details of Freedman’s intriguing analysis of the compositional strategy of the Torah and the Tanakh. You will be amazed at the details he discovers and how they provide clues for the meaning of the Tanakh which are so compatible with the Newer Testament, while calling into question some conclusions from TTG. Enjoy. Differ if you must. But remember to respectfully differ. These are all good people. It could be said that the authors argument is that the Torah was never intended to be observed and was just intended to point to Messiah. They state that Israel’s spiritual condition began to deteriorate with the giving of Torah. But to posit that the Torah was never intended to be observed and was just intended to point to Messiah implies a certain dishonesty on the part of the Giver of Torah which I find hard to swallow in view of the character of God as revealed in that same Torah and the rest of Scripture. The fallacy of some heirs to the reformers is the assumption that the only motivation, indeed justification, for obedience and mitzvot, and indeed the only valid goal in life, is to obtain individual salvation. Hence, since Paul clearly says that we are saved by grace, not by works, stressing Torah obedience (and even obedience to the many instructions for living found in the NT) amounts to a denial of the grace of God and an attempt to earn our salvation by performing mitzvot. But if the goal of our life is more than personal salvation, if it includes fixing the world (tikkun ha olam) and building His kingdom, then we obey not in order to be saved, but because we are saved, and because obedience to the King is how the kingdom gets built. You are building your entire argument on Ezekiel’s temple. The question for biblical interpreters is how to understand the fulfillment of the vision. Is Ezekiel’s temple to be a real, physical building erected in the land of Israel? Or is the vision meant to be understood symbolically and typologically (Yeshua himself?) For those who believe the temple is a physical building, if the temple’s construction remains to be accomplished sometime in the future, how is the discussion of animal sacrifices explained in light of Christ’s death that is said to have put an end to OT sacrifices? Talmudic rabbis believed the images of the visions were difficult enough that the prophet Elijah would have to come and explain them. Medieval commentator, David Kimichi, interestingly finds proof of the resurrection in these chapters, because Ezekiel believed he and his contemporaries would one day, in the future, build this temple. Seeing that it was never completed, it must be accomplished sometime in the future and that would require a resurrected Ezekiel. All that to say, that by building your argument against them on Ezekiel, you have a very weak and confused argument, leading to more questions and objections than answers, at least in my opinion. Thank you for writing, but NO, that won’t do. I confess along with just about everyone else that the details and meaning of the Ezekiel’s Temple chapters are obscure and just about impossible to decipher. But of course I am NOT dealing with that Temple, which will not be discussed until chapters 40-48! No, I am dealing here especially with chapters 36 and 37 which are far less controversial, and in fact, form the warp and woof of much Israeli Messianic, UK Messianic, American Messianic and religious Jewish expectation about prophetic events and opinion about the interfacing of the events of the last hundred years or so and now. Chapter 36 speaks of the Valley of Dry Bones, a right brained picture (pictorial and wholistic) of prophetic realities concerning Israel , with the second half of the chapter and the 37th being more left brained–by which I mean analytical. Again, I am not basing anything on Ezekiel’s temple. The idea of God coming to dwell among his people, where He would be Israel’s God and they would be His people is what one of my teachers, Dr. Walter Kaiser calls the “Tripartite Formula” which occurs in whole or in part many placs in the Bible: “I will be their God, they shall be my people, and I shall dwell in the midst of them.” Here is what he says about it. Indeed, the Book of Revelation picks up on this in 21:3. “I heard a lound voice from the throne say, “Look! GOd’s dwelling is here with humankind. He will dwell with them, and they will be his peoples, God himself will be with them as their God.” So you can see, if you will, that this reference to God dwelling among his people is not negated by allegedly being moored in Ezekiel’s Temple. I am afraid your attempt to negate what I said in this first blog falls to the ground. And by the way, just because I picked a passage from Ezekiel, that does not mean this book is the basis of my whole argument, as you wrongly surmise. (Obviously, now when you see the other corroborating passges). You will have to be patient to see the strength of the argument, beginning from Torah. And how do you asume that all of Ezekiel is equally murky? I have NEVER heard that argument before!